The aftermath of Storm Diana continues to wreak havoc with the cancellation of a Christmas market. Southwick’s annual Christmas Market was due to take place tomorrow (December 1) in Southwick Square, but has been cancelled. 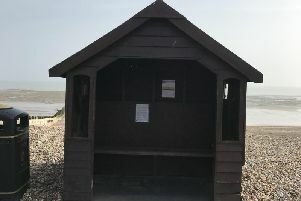 A statement from Adur District Council said that due to severe weather conditions, involving persisitent rain and a risk of coastal gales, the market has had to be cancelled for safety reasons. The predicted weather has also meant a lack of stallholders and entertainment being able to attend. The Christmas Fair at Southwick Community Centre is still set to go ahead tomorrow, from 10am to 1.30pm, with stalls, refreshments, entertainment and a grand draw – all for free entry. Adur District Council has planned a number of festive events in the build-up to Christmas. Light Up Shoreham runs from 3:30pm to 8:30pm on Friday, December 7. The town’s independent shops and restaurants will be open for an evening of late-night shopping opening with more than 50 stalls offering gifts, crafts, jewellery, clothes, toys and much more. Attendees will also be able to take advantage of free off-street parking, which includes Pond Road, Tarmount Lane and Middle Street car parks, from 3pm while the event is running. The Shoreham Farmers’ Market will return to East Street on Saturday, December 8, from 9am to 2pm, and the Lancing Christmas Market will be in North Road, Lancing, from 9am to 1pm on Saturday, December 15. For those last-minute presents, Shoreham Artisans Market will take place in East Street, Shoreham, from 9am to 2pm on Saturday, December 22. Sussex garden waste collections: where does your council rank for charges in the UK?